I’ve been on a journey to bring disabled African American history into the light by reclaiming the disabled identities of history makers. There is a hidden rule that unless such revelations are unavoidable, a person’s disabled identity is best ignored. When such disability is so inseparable from the arc of the figure’s life it cannot be erased, then disability is made the scapegoat for anything negative befalling such a person. Nina Simone was what I’ll call a bipolar savant. She was neurodivergent and did her best work as an activist completely unaware she was bipolar and suffering from PTSD. As such, the disability community should embrace her as a savant in the wider sphere of neurodivergent people who demonstrate talent usually limited to the label autistic savant. The recent purchase of Nina Simone’s birthplace by four African American artists who are now restoring it has brought media spotlight back on Ms. Simone and her legacy. This gives media the opportunity to drag out the same tired mental health tropes and ableism that surface each time her psychiatric disability is used to marginalize her massive achievements as a child prodigy, singular music star and activist against racism. She was a flawed human, but the telling of her story by using her psychiatric disability as an excuse to make her complicit in her own victimization by a brutally abusive ex-husband/manager is inexcusable. If she did not carry a bipolar label, would her disability be used to diminish her credibility and personhood? Not likely. It is up to the entire neurodivergent community and the greater disability rights community to drive reexamination of Ms. Simone’s legacy through the lens of the creativity, brilliance, and energy that is uniquely bipolar. Only another talented, creative, bipolar writer could counter the wrongheaded idea that she achieved success despite her psychiatric disability. The disability rights community must curate her neurodivergent personhood in the same way these four African American artists are curating her legacy of art and politics. Ms. Simone was not one to shy away from who she was. She reached out to a friend in Paris, and that friend learned she was playing to near empty audiences in Paris cafes and did something no family member ever thought of doing. That friend got her professional help. For the first time in her life, she was given a diagnosis, help, and a neurodivergent identity, and this began a healing process that allowed her to return to the stage and triumph again in the 1980s. This is how critical it is for each neurodivergent individual to know about their neurodivergent identity and how it influences them, to accept it, and to be the role models necessary to give every neurodivergent person of color the courage to seek the accommodations and supports they need to succeed in mainstream society. 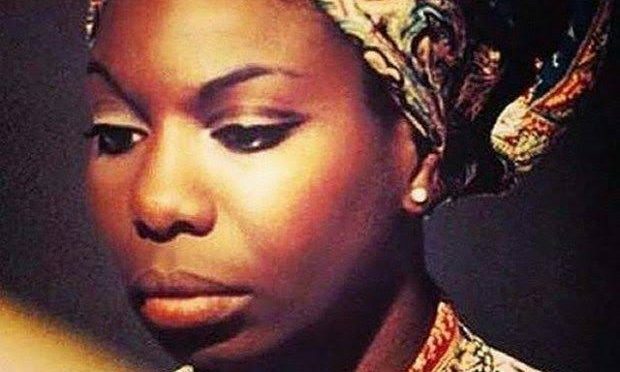 The before and after of Nina Simone’s psychiatric disability story and how she dealt with this identity could make a life or death difference to a young person of color. Some academic should be studying the greater neurodivergent savant population. But for our part, we disability rights activists should acknowledge Nina Simone as a disabled Black activist and bipolar savant who deserves her place not only in music and civil rights history but in disability history as well. She was the high priestess of soul, a revolutionary, and a neurodivergent woman. Welcome her into the pages of neurodivergent history. You can find more information about bipolar and neurodiversity here and here. Please don’t use “savant”. There’s no correlation between intelligence and mental illness. “Bipolar savant” plays into the “mad genius” trope which continues to be damaging for people with mental health issues, especially the notion that people with mental illness are more creative, or that their creativity relies on their being in mental distress. It’s a stereotype that’s so damaging that people refuse medication because they think it will stifle or erase their creativity. The last thing we need is another label furthering the “genius is next to madness” myth. Agreed. A savant is a person who meets the criteria of savant syndrome, a diagnostic term which has a specific scientific definition. When used incorrectly, it is an in injustice to the people it is meant to empower. a learned person, especially a distinguished scientist.